Baltic Salmon Rivers Association are proud members of the global network of waterkeepers - Waterkeeper Alliance - advocating for swimmable, drinkable, fishable water worldwide. We are an organization working for strong and healthy salmon and migratory sea trout populations in Swedish rivers around the Baltic sea. Here you can read about how we work and what we want to achieve. Do you share our goals and want to chip in? Great, then you can join us and contribute to more salmon and migratory sea trout in SWEDENs Baltic riverS. We work for strong and healthy salmon and sea-trout stocks in all rivers which flow into the Baltic Sea. 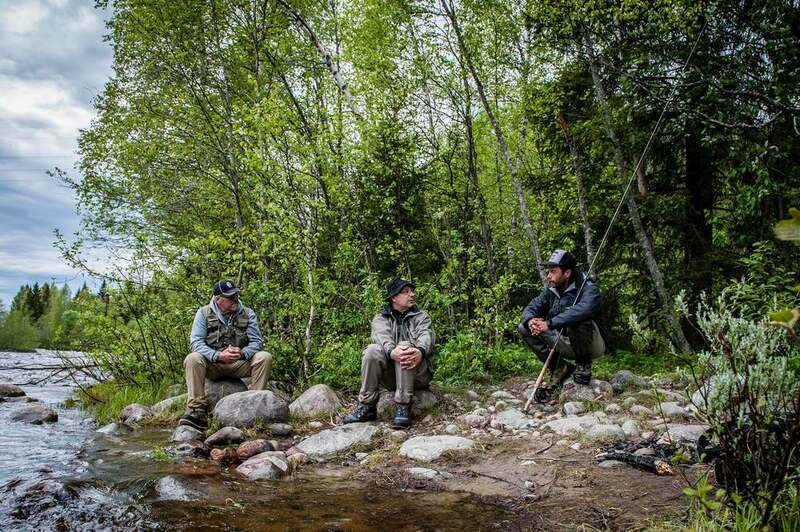 Organize fishing associations, fishery management organizations, community associations and cooperatives in 20 salmon rivers in Sweden, of which 14 are wild salmon rivers. Inform, influence and lobby from a base of solid research. Represent over 12 000 fisheries rights owners. Work actively at local, region and international levels for sustainable salmon and sea-trout management. The Baltic Salmon Rivers Coalition is the referral organisation for the Swedish Agency for Marine and Water Management and the Department of Agriculture in matters concerning salmon and sea-trout and the Baltic Sea. We see salmon and sea-trout as a resource that can drive regional development both in river valleys and on the coast and therefore work together with tourism providers and organisations. A membership in Baltic Salmon Rivers Association is 100 SEK (approx. 10 €) annually and we welcome all who share our goals. We work strategically for the betterment of wild salmon and sea-trout stocks. This involves working on multiple levels, including the international stage, both individually and together with others, to achieve our vision; namely that more salmon and sea-trout should flourish in our rivers. Our five goals are. 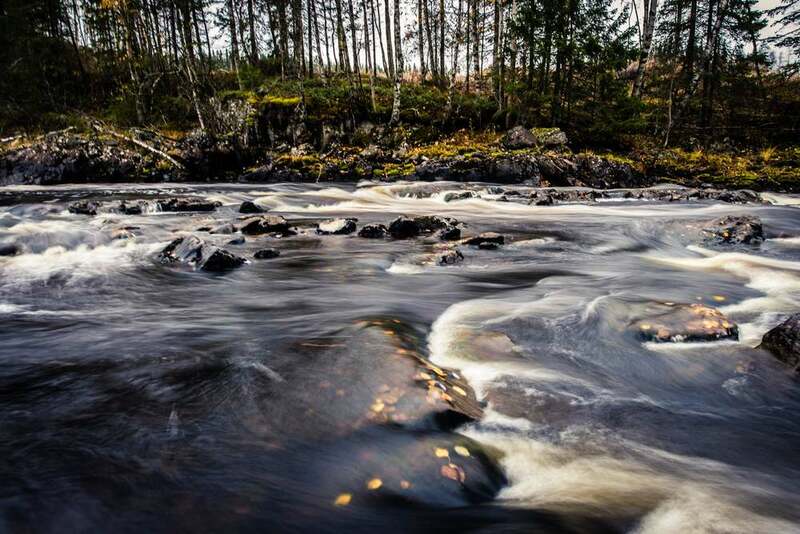 Each individual river that is- or has been, home to wild salmon and sea-trout shall be restored so that it can produce its maximum number of smolt. The goals of the European Union’s water framework directive as well as Swedish national water quality goals shall, without exception, be met and adhered to. Salmon and sea-trout shall be managed both in river and sea so as to ensure that each river-specific objective is met. All fishing with commercial fishing methods on mixed salmon stocks shall be prohibited where there is a risk for the catch of weak stocks. Commercial fishing should be aimed towards the catch of compensatory released salmon and sea-trout, or from strong wild river stocks. To ensure a high survival rate when releasing fish new low-impact and selective fishing gears and methods should be developed. Each individual river that contains wild salmon or sea-trout shall be given a specific goal for numbers of returning spawning fish. This goal will be at such a level so each river can produce 100% of its potential smolt-production. This will allow for a limited harvest while ensuring the future survival and conservation of each genetically unique stock. Salmon and sea-trout shall be utilized so as to achieve maximum economic value, thus promoting the development of sport fishing in Rivers and at Sea, and so as to increase the recreational value of the sport fishery. If you like to know more about our work don’t hesitate to contact our chairman Thomas Johansson. We are proud members of the global network of waterkeepers - WaterKeeper Alliance - advocating for swimmable, drinkable, fishable water worldwide.